Posted on September 20, 2011, in Arizona, haiku, Haiku My Heart, Kingman, Macro Monday, my digital photos, my haiku, Northern Arizona, REDnesday, Ruby Tuesday, Straight Out of the Camera Sunday, The Height of Haiku Challenge, The Poetry Pantry, Tina's PicStory. Bookmark the permalink. 16 Comments. They do look ripe and juicy!! The perfect combination of pretty and unique. juicy and sweet shot, beautiful Haiku to match it. Looks yummy! I’d be waiting under that tree! Been years since I’ve tatsted one. What a gorgeous looking pomegranate. And what sweet family memories that brings back. 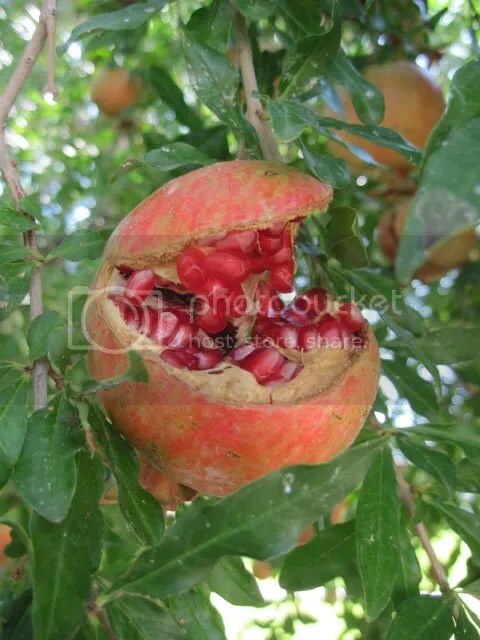 My grandparents often shared pomegranates with us when I was young. Thank you for a lovely visit for Rednesday. That’s just wonderful. I love it.